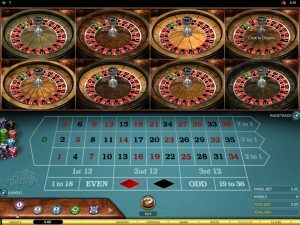 Roulette is a game of chance and while some players may feel that they have a perfect betting system, there is no way to guarantee a win when playing this classic casino game. This is why it is essential for any player to be aware of the best and worst bets that can be placed. By knowing the worst bets, players can avoid placing bets that lose often and eat away at the bankroll. Every player wants to be a winner, so avoid the worst known bets and try to extend the life of the bankroll, even if it means placing bets where just small payouts are offered. Learning about the worst bets at the table can benefit any player and with some experience, one will quickly see why these following bets are the absolute worst. There are many betting options and combinations that are offered but some will offer a high house edge and almost be impossible to win. By steering clear of the worst known bets, players can play and win more and will not have to worry about quickly depleting their bankroll when playing for real money. 1. The Basket Bet. This is a five number bet when playing American Roulette and it covers numbers 0, 00, 1, 2 and 3. This bet has a massive house edge of 7.89% and it the worst possible bet that can be placed by any real money player. 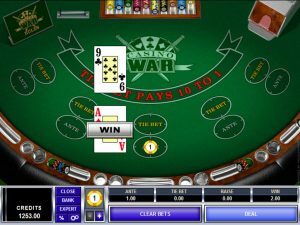 In fact, playing American Roulette overall offer slower odds, so try to avoid any bets these tables and head to European Roulette for better chances at winning. 2. Straight Bets. These are bets that are placed solely on a single number on the table. 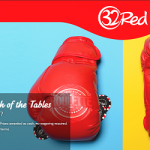 These bets do not have a high chance of winning; however, they do offer a remarkable 35:1 payout. Since there is a low chance of winning, the bet should be avoided. However, it is not a bad idea to take a chance once in a while and throw a few dollars on a single number bet, especially if other outside bets have been winning. 3. Split Bets. This is a bet that is place on two single numbers at once. The payout is half of the straight bet, but again, the odds of winning are very low. These bets are best avoided and players should stick to lower paying bets, even if they will not drastically increase the bankroll quickly. 4. Any Bet at American Roulette Tables. Any player that has experience with the game of roulette will completely avoid placing any bet on an American Roulette game. The reason for this is that here is an extra number in play, the 00. The simple addition of his spot on the wheel increases the house edge to 5.26% from the 2.63% with European Roulette. Placing bad bets does not mean that players will always lose, but it does mean they will have fewer chances of winning. 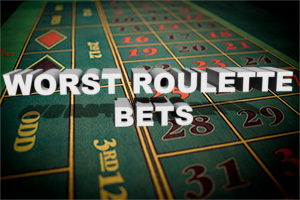 The single worst bet in roulette is the basket bet and regardless of the attractive payout, this bet should be avoided by any real money player. Each and every bet on the game will have different risks and rewards and for players to understand the best and worst bets, they need to consider the house edge, the payout and the actual chance of winning that bet enough times to make a profit. The mentioned worst bets are those that should be avoided, especially by any player that is new to the game. They are great bets for risk takers and those that have large bankrolls, but for the casual player, these bets are best avoided. 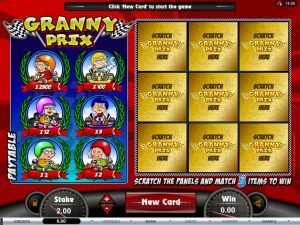 Though they do offer better payouts overall, they are seldom won and will destroy a small bankroll very quickly.